2019 in Dubai started with a bang, and the last month has seen a host of spectacular events including the all-time favourite Dubai Shopping Festival (DSF) and Dubai World Cup Carnival. And if you’re feeling blue that DSF is winding down, cheer up, because the city has so much planned in February 2019. The highly-anticipated Red Fest DXB is just around the corner with an ah-mazing line up, and the world’s leading tennis stars are landing in Dubai for the Duty-Free Tennis Championships! If your social calendar is looking a little empty, take a look at these fabulous activities and events in Dubai for February 2019 that are sure to keep you busy! Catch the thrilling end to the Dubai Shopping Festival 2019, which will be marked with a glittering show of fireworks. 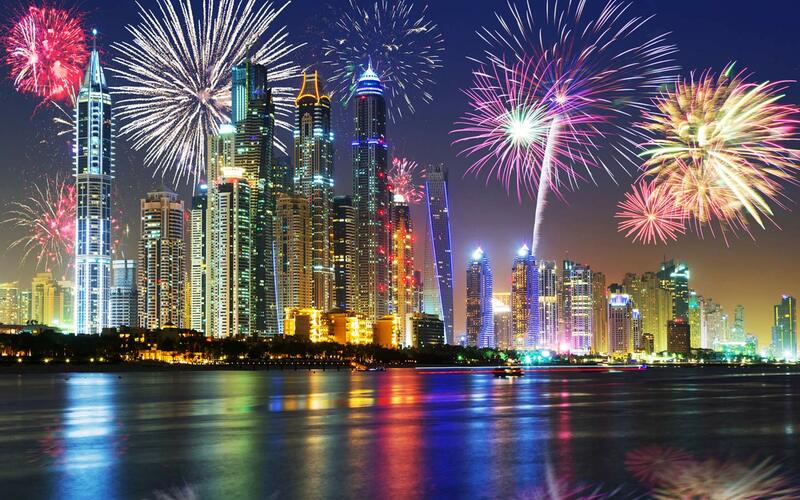 Bigger and better than before, there will be fireworks shows across Dubai’s most popular hotspots including La Mer, Al Seef, Dubai Creek, Dubai Festival City Mall and The Beach. Grab the chance to explore these winding waterfront destinations, where endless shopping, dining and entertainment options await. Here’s a fabulous deal we know you can’t refuse. Catch the Indian singing sensation Sunidhi Chauhan live at Bollywood Parks, in Dubai Parks and Resorts. The award-winning artist will be belting out her greatest hits to wow the crowd in a memorable evening! The cherry on the cake? Guests can also enjoy the park’s rides and attractions from 6pm onwards until midnight for a cool AED 49! 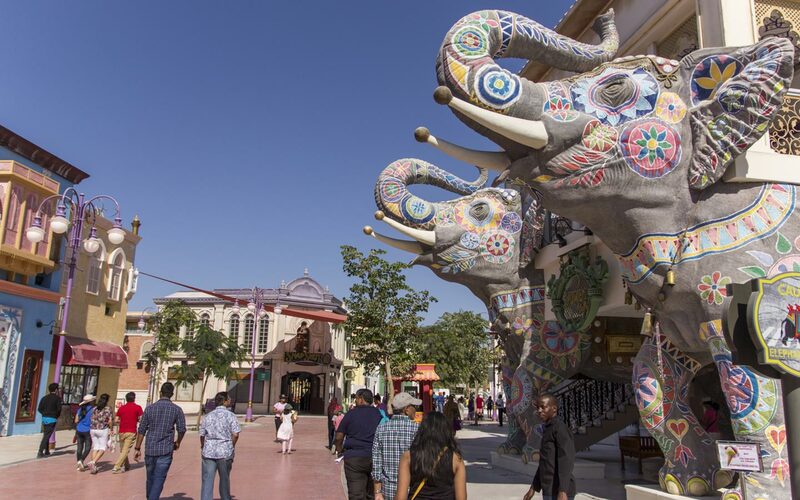 Have Bollywood style fun at one of the coolest Dubai events in February 2019. Wondering what to do in Dubai in February 2019? 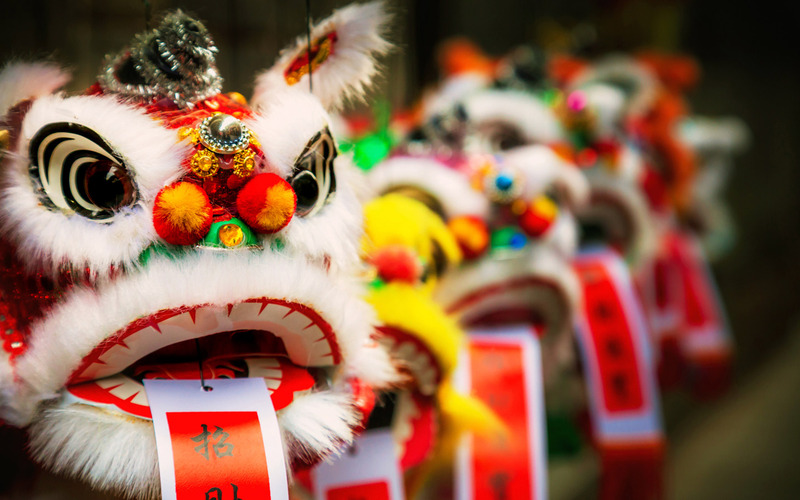 Check out the citywide celebrations happening for the Chinese New Year in one of the best events and festivals in Feb 2019! Next on our list of the best Dubai activities in February 2019 are the festive celebrations across the city for Chinese New Year! Head to the luxurious Palazzo Versace for an outdoor festive market to honour the Chinese Lantern Festival. Expect DJs, kids’ activities and live cooking stations. And don’t forget to check out the malls in Dubai like MOE that will be joining in the celebrations with entertainment and shopping deals. Mark your calendars for the IMAGINE show at Dubai Festival City Mall that has designed a special performance with fire, water and lights for the occasion! Speaking of the hottest events in Dubai for February 2019, the UAE’s most famous music festival is just two weeks away, and we are pumped! Virgin Radio’s RedFest DXB is returning with an unbelievable line-up of chart-topping and award-winning artists. We’re talking the uber-talented Camilla Cabello, Macklemore, G-Easy, DJ Snake and more! Get ready for two nights of fabulous performances and sensational music! There’s plenty of activities to try during the two days; enjoy snacks from epic street food stalls while you explore the interactive installations and sponsors activations. Get your tickets fast – because this is definitely one of the best Dubai events in February 2019. Wondering what to do in Dubai in February 2019? 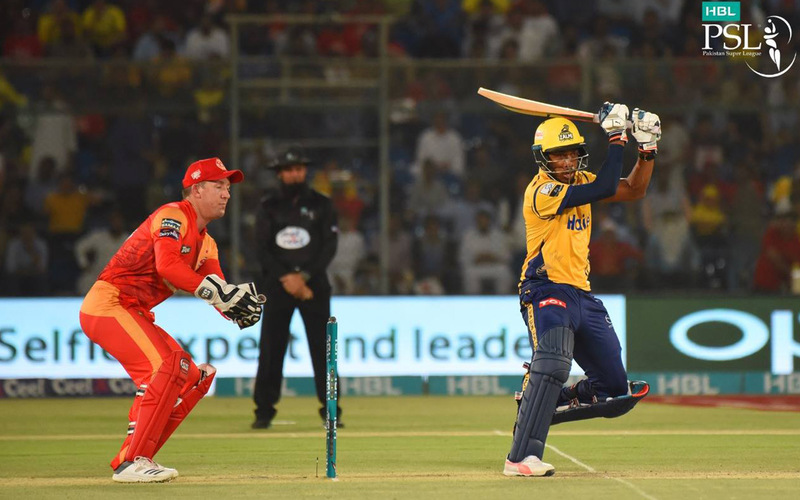 The Pakistan Super League (PSL) 2019 is returning for its fourth successful year – and matches will be taking place right here, in Dubai! Six teams, three weeks, one grand champion. With top players from England and West Indies, these Twenty20 matches are not to be missed! The tournament will kick off at the Dubai International Cricket Stadium and matches will take place across Dubai, Abu Dhabi and Sharjah, while the final matches are played in Pakistan. Watch out for the extravagant opening ceremony – we hear Pitbull is expected to perform! Dubai’s sporting calendar is packed with fabulous events this month and the Dubai Duty Free Tennis Championships is no exception. One of the most famed sporting events in the region, the Dubai Open will include two weeks of world-class tennis being played in women’s and men’s events. The tournament is bringing big names like Roger Federer, Andy Murray, Simona Halep and the new World Number 1 Naomi Osaka to Dubai! There’s going to be epic competition on the court as well as great entertainment off the court, making this one of the must-attend February 2019 events in Dubai. Only the most delicious event in the city, Dubai Food Festival sweeps the entire city in a gastronomic celebration. Check out food related events and offers, discover new cuisines and restaurants, and fall in love with Dubai’s diverse dining scene. One of the top Dubai events in 2019, celebrate casual dining at the Beach Canteen and meet top-notch chefs during Taste of Dubai! Next on our list of things to do in Dubai in February 2019 is the 17th edition of the Dubai Jazz Festival. This year’s line-up includes icons from the global music scene such as Alicia Keys, Snow Patrol and Jamiroquai, who will be headlining different days of the event! A highlight of the Dubai events calendar in 2019, there will local and international main stage performers before the headliners, as well as delicious F&B outlets to choose from! There’s a new family-friendly venue coming to Atlantis the Palm and it’s definitely worth a visit. This exciting space rolls family entertainment, a restaurant and an adults-only bar all into one! Wavehouse will also be accessible from Aquaventure Waterpark and will offer visitors a break from the thrilling rides. Try out the bowling alley and gaming zone while the kids have fun in a dedicated play area. And when you’re ready to splash your way to fun, have a go at the Wave Rider that looks over Aquaventure. With live bands and DJs setting the relaxed vibe, Wavehouse will soon become of the coolest things to do in Dubai. Alright, the AFC Asian Cup 2019 finals will be taking place in Abu Dhabi, but this event is a must-attend, no matter which emirate you’re in! The nail-biting final to the series of international football matches is only two days away, where Japan and Qatar will be going to head-to-head to compete for the winning title! 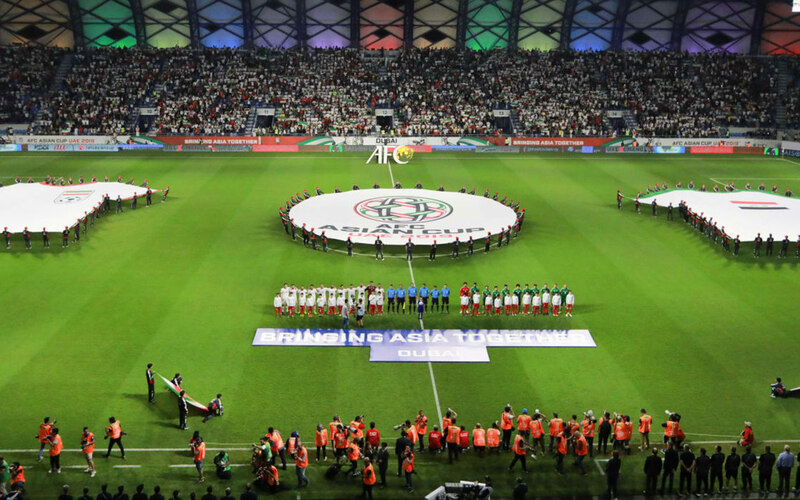 One of the highly awaited events in the UAE in February 2019, the final match will take place at the impressive Zayed Sports City Stadium. Tickets will go on sale online at midnight tonight – be ready!